Fox - Render fur or keep it simple? Re: Fox - Render fur or keep it simple? Hi! Made an edit for you. So, while fox fur is pretty short, some parts of their fur is nice and fluffy, so I only rendered those parts as fur and the rest I left pretty simple. Picked top left as my light source. Fluffy parts: tail! the lighter bits under the chin and down the chest, and the cheeks. I also made your foxy look more strapping by reducing the stomach bulge (and shading the underside darker). I bend the rear legs and gave the front legs a more active pose. I also moved the cheek puff and the ears. A lot of my changes are just personal choice. You are welcome to continue your style. Things that you need to change are the lighter parts that come across the fox's front right leg (which I assume is in front due to the shading), and work with the light on your tail a little more. As for how to shade fur. As you can see I've just made triangles facing downwards and to the back of the fox of the lighter colour in each case. sometimes this creates shade on the hair beneath. I also added more triangles to the silhouette to imply fur further. Hmm well I tried but I gave my self not enough time (again...) . I'm kinda disapointed in my self for this edit haha Just ignore the back part and just look at the head I guess that would tell you my point. My edit is way to noisy. A reference would have helped. (or something similar lol). The important part is Shadow and Light, Texture just adds minor variations to the lit part, a lit textured surface will never be darker than the same surface in the shadows. I would argue that the light and shadow IS the texture. The noisy texture in the lit area looks bad and has no place in pixel art imo. Instead focus on how the edge between light and dark is disrupted by the clumps of fur. Wow, thank you all for the critique and advice! Ambivorous, thank you for the awesome anatomy fixes and shading suggestions. Evidently my update borrows heavily from your edit, but I toned down the tail a little and added some fur texturing. Pusty - nice avatar also, thanks for the fur texture example. Initially I was leaning more towards flatter colour blocks, but after experimenting with texturing I think I like the extra detail it adds. So, thoughts on the update? Your latest version is saying "this wolf has clumps of fur raised up everywhere EXCEPT along the edges when viewed perfectly from the side"
Like you used a hairbrush all over the fox but only down it's middle. Thats not to say the back isnt smooth on foxes, but to say that the hair you indicated with that texture doesnt make a lot of sense compared to where you can see the texture from the side as it rounds the back. Well, if I wanted to be accurate I would have used the words low frequency shading instead of shadows and high frequency shading instead of texture. I just tried to make the concept a bit more understandable. Thanks, you're right of course, and that is a beautiful fox. I'll keep at it over the next couple days. 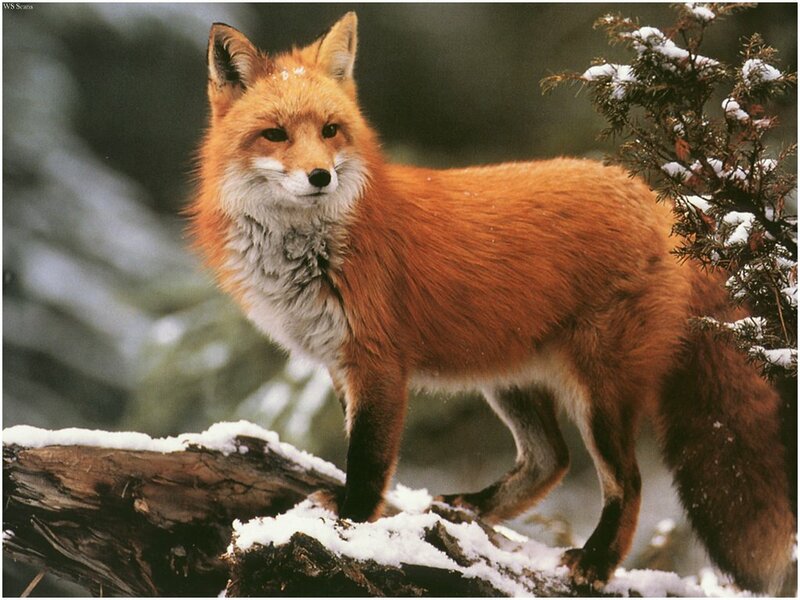 I really love the way the tufts of fur along the fox's neck have those dark roots that show the depth of the fur. that will be hard actually I wouldn't try the black bits personally as its probably going to become noisy. u could probably describe a layer of fur clumps though. remember u dont need to do every layer, just one or two is usually all that's needed to suggest the rest of the clumps.